I discovered a new, powerful, open source auto-dialer called Newfies-Dialer that is offered by Star2Billing S.L, and is distributed free of charge, with no ongoing licensing costs. Star2Billing also wrote CDR-Stats, a replacement for Asterisk Stat used in FreePBX, as well as A2Billing. Star2Billing S.L., based in Barcelona, was formed in 2009 to provide commercial support to their range of free and open source products specialising in telephony, billing, and telecoms software development. Freeswitch is often compared with Asterisk, though Freeswitch is more scalable, especially the number of concurrent SIP registrations. 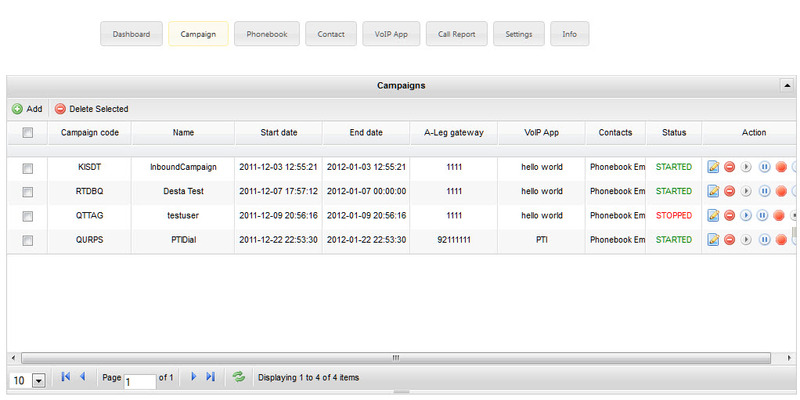 Jonathan Roper emailed me to tell me about this new auto-dialer, which works in conjunction with FreeSWITCH. He emailed me and said, "You have also written about a project I used to be involved in. I authored the original version of PBX in a Flash." Star2Billing S.L. just released their latest product, Newfies-Dialer, free voice broadcasting and auto-dialing software to call thousands of contacts delivering marketing and emergency messages, or providing phone polling, survey and voting applications. Jonathan's email explained, "Star2Billing realized that after a number of years of working with auto dialer systems, that most voice broadcasting software and auto dialer systems were expensive and difficult to scale so they built Newfies-Dialer, initially for a charity that wished to disseminate health care information in the third world." Newfies-Dialer has now developed into a multi-tenant voice broadcasting solution and auto dialer system to enable the automated delivery of interactive phone calls to contacts, clients and the general public, making it perfect for telemarketing, mass emergency broadcasting, phone polling, surveys and voting. Their goal was to create a free and easy-to-use voice broadcast solution which would scale and easiliy integrate with your website and CRM software and then perform the auto dialing. According to Jonathan the architecture of Newfies-Dialer has been designed to be scalable, using distributed message passing to make make millions of calls per day via multiple cloud based instances of Freeswitch. Just what we need, right? Super-scalable cloud-based telemarketing calls that can blast call every single landline and mobile wireless number on the planet in less than 7 seconds! I jest. Obviously, DNC rules still apply. The Newfies-Dialer Voice Broadcasting Platform is assembled entirely from free and Open Source components including Freeswitch, Plivo, RabbitMQ/Redis, Celery and Django, and a beginners guide to installing and configuring Newfies-Dialer.